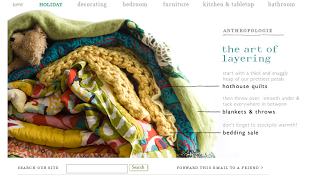 I love snuggling under a bunch of blankets in the winter and Anthropologie seems to feel the same way. Their most recent email is all about bedding including the announcement of a bedding sale! I was happy to see the Sudden Storm Throw included in the sale. 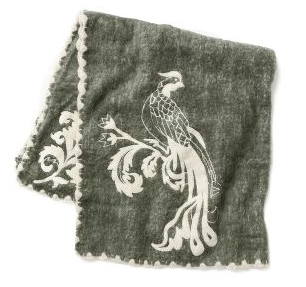 I have been eyeing this throw for a little while. I love the avian theme Anthro has been exploring lately, especially the plumage. Do you own any Anthropologie bedding? Are you thinking about buying anything from the sale?